Twins re-sign Capps for $7.15M; Capps buys new cleats | That's Twins Baseball. A Minnesota Twins Blog. The Twins avoided arbitration with reliever Matt Capps today, signing him to a one-year, $7.15M deal. Capps, who is on the Twins Arctic Caravan somewhere in the frozen north, wasted little time spending his new cash. 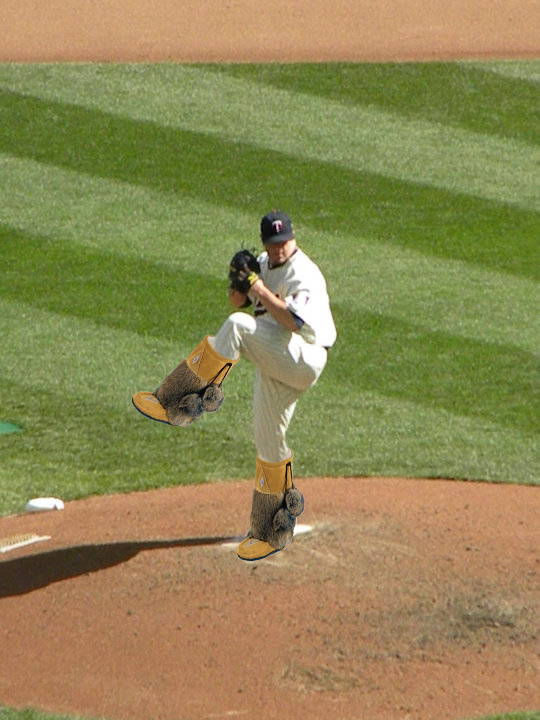 The caravan was passing through Ely, MN today and according to the @MinnesotaTwins twitter feed, stopped so Capps could buy some special Mukluks brand cleats. They are said to be warm and fuzzy and really calms a pitcher down in high leverage situations. No word yet if Bud Selig will allow Capps to keep his new cleats but rumor has it he will just call it a tie.